I’ve been spending lots of quality time with Osaka Salt lately. Its just so darn cheerful I keep coming back to it! 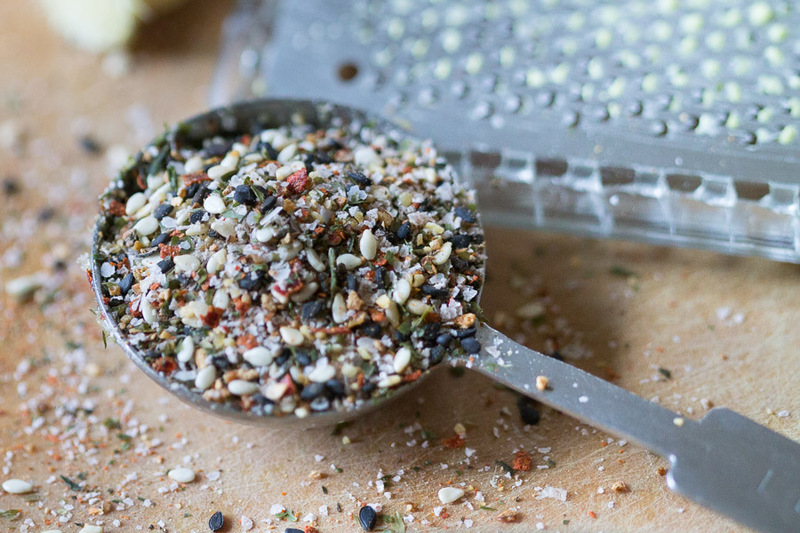 It started when I put this perky seasoning on steamed broccoli with lemon juice and sesame oil, creating a simply spiced combination that became a go-to for lunch. Then on to ramen and 6 minute eggs, fabulous! So I was having Osaka Salt for breakfast too. And now the Osaka Miso Dressing. This stellar flavor combination has been gracing many a crunchy salad and stir-fry this spring and that pushed it over the top. Osaka Salt is now on my desert island spice list. In this dressing, the flavors come together beautifully. It is light and intense, with a strong presence of ginger leading the way. There’s just enough toasted sesame to be noticed without overpowering and the vegetal and sesame flavors of the Osaka Salt play right along. 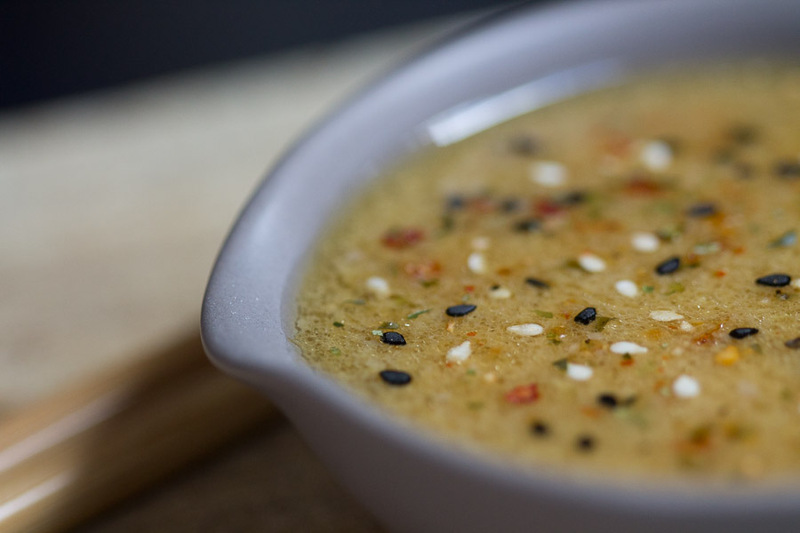 This dressing is NOT ginger shy, so cut back a little if you’d like a milder version. 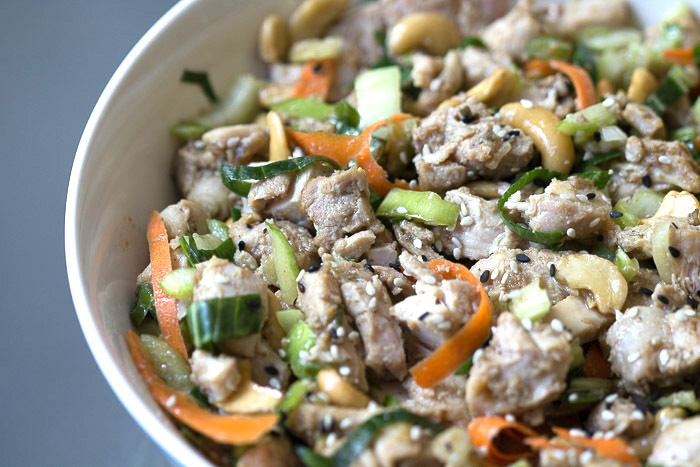 Enjoy it on vegetables, noodles or to dress chicken or tuna salad. In a small bowl, combine all the ingredients except the Osaka Salt and whisk well to dissolve the miso. Stir in the Osaka Salt. Store the dressing in a jar with an airtight lid, and shake well before serving. This dressing can be served immediately, but the flavors come together even more beautifully if you allow it to rest a while. Better yet, make ahead and keep a jar in the refrigerator!